Why can’t the duplicates be removed with Duplicate File Finder? Duplicate files are just a waste of disk space on your computer. Have you ever checked how many duplicates you have on your Mac? If not, you should definitely do it and you may be surprised by the number of duplicate files and folders. But don’t worry. Our free application Duplicate File Finder can find all your duplicates in just a few clicks. Duplicate File Finder is an impressive application that searches for duplicates and presents them in a convenient way to you for fast cleanup. What files are shown as duplicates? Duplicate files cannot be removed. Why? Any external flash drive can come in FAT32 or NTFS formats. 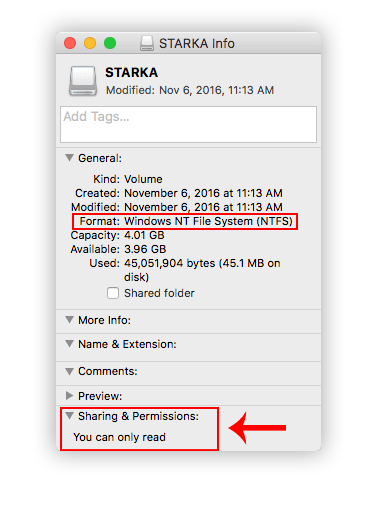 While FAT32 is fully compatible with macOS, the NTFS format is the default format for Windows operating system. 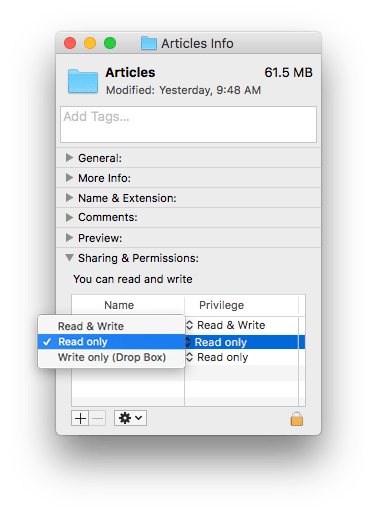 If you have NTFS-volume, that means that you have read-only permission – you can only view the content on your drive but can’t delete files from there. That’s why Duplicate Files Finder shows the duplicates but doesn’t allow you to remove them. To check the permission information of the drive, make a right click on it and from the context menu select Get info (or use Command+I key shortcut). To solve the problem, you should change the drive’s files format with the Disk Utility app by Apple or other software designed for this task. This Trash folder keeps files of the external volume that have been removed while using the external drive. This is true also for internal drives (except for networked drives). 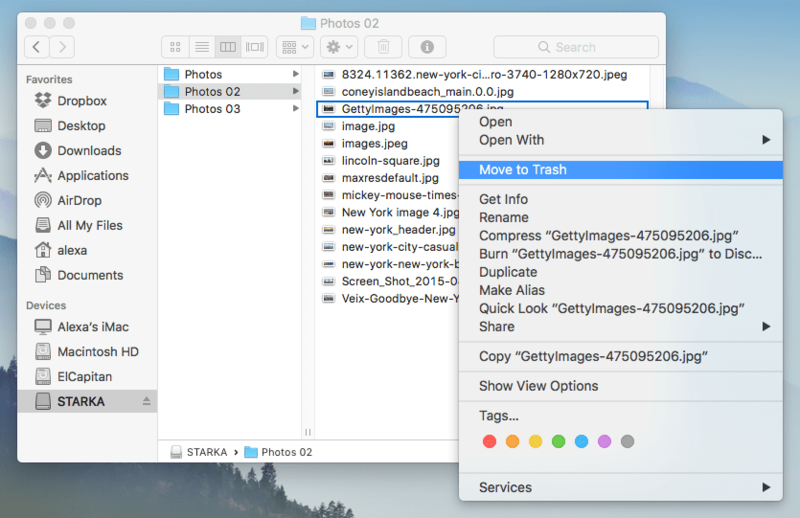 By default, Duplicate File Finder moves files and folders to the Trash bin. That means that if there is no Trash folder, the app can’t remove the files. To create Trash for your external drive, just go to Finder and remove any file from the drive right in the window. The Trash folder for external volume will be created automatically. 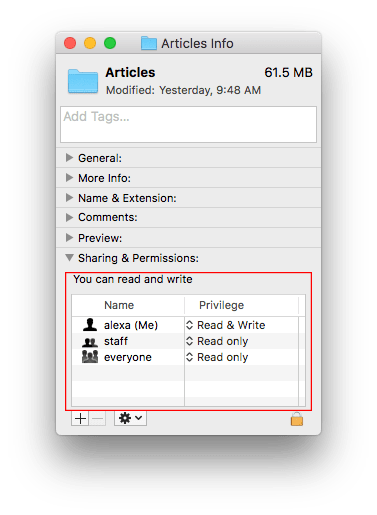 To check file permissions – select a file/ folder in the Finder and use the CMD+I shortcut to view the item’s information. Click the lock icon from the right bottom corner. 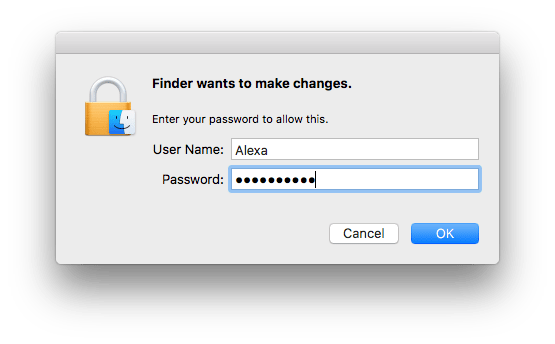 Enter your password to allow changes to be made. Next to the account name, click the privilege type and change it. If your files are being used by another application simultaneously, then you can’t remove them by Duplicate File Finder. Just quit the third-party app that is using your duplicate files, then click the Remove button again. If that doesn’t help, check with Activity Monitor whether the background processes might be using the file. If you still have questions about Duplicate File Finder, contact us. We are here to help you.